The delivery that ensures that we're always hooked onto the seat....."
"And he has picked the gap perfectly...almost bisected it and the ball wins the race"- Dad broadcast-ed. His voice almost echoed through the desolate corridor; yes he had just about started rehearsing before the big match. "Calm down, we have everything under control Dad"- I tried to 'console' him..but in vain. He had already created a scene out there. "Goodness gracious me. What is he up to? I know that the bats these days are too good..the 'willow power' that they manage to generate is just incredible but doing it consistently? That is just unimaginable"- Dad reflected. He has always been a great advocate of the game, his passion for the game is almost unparalleled. I distinctly remember the gloomy expression on his face when he returned 'empty handed' on the 'cursed' semi-final day of the 1996 Wills World Cup held at Eden Gardens, Kolkata. That was indeed an eye-opener for me because prior to that, cricket was nothing but a mere diversion...it was nothing less than 'obsession' when it came to epitomizing dad's attachment towards the sport. I distinctly remember the 'synopsis' if you call it so, the entire cricket-maniac denizens of Calcutta were rooting for Team India to make a clinical impact and perhaps win their second World Cup, they hoped, they aspired, adjured, they prayed for their Nation....there prayers went un-noticed. The discontented crowd at the Eden Gardens who did sketch an ugly picture on that cursed day, had no other option really...it's heart-breaking to see their favorite side collapse from a position of strength to a tame defeat, nobody other than the 'Master' managed to show resilience. Needless to say that the Lankans had the momentum behind them post a resilient show with the bat, but nobody expected the Indians to collapse like a pack of cards after Sachin gave them a rollicking start. Yes, you need to break those flood-gates alright and the resurgent Lankans led by the very adventurous Arjuna Ranatunga did just enough to ensure that the Indians were pushed right on to the back-foot after Sachin's dismissal. Even the Indians played to their hands; a tame submission. What followed soon after was nothing but a cataclysmal carnage...it shook the Nation of millions who were rooting for the men in (light) Blue. Dad was one of them; as a vibrant Engineering student and the University cricket captain..the game has been more of an exaltation, he has been a great patron of the sport that is aptly termed as the "Game of Glorious Uncertainties". I could hear his abhorred grunts when Team India under-performed but then he respected the worthy opponents...the true sportsman-spirit. I have seen him replicating Dada's historic 'jersey-swiveling-feat' during the Nat-west Trophy Finale...but then he had admitted that it was quite an impulsive act either way. 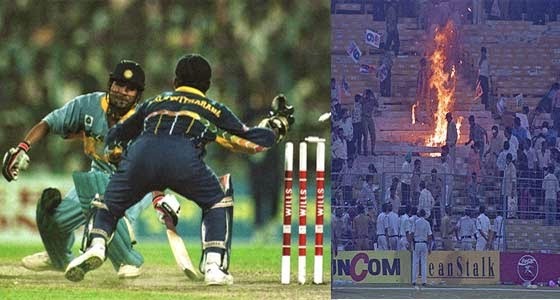 Having said that, the impact of the 1996 World Cup has been quite acroamatic because of the simple fact that India had shown a lot of promise post their monumental victory over the arch-rivals Pakistan in the Quarter Finals....we all remember the Aamir Sohail and Venkatesh Prasad's nerve-wrecking duel back then. Yes, we witnessed a dream crashing on that particular day...it was an unified setback, the fiasco that is going to haunt each and every cricket lover for sure, that very sight of Vinod Kambli walking off the field with moist eyes was heart-breaking indeed. "I still don't believe in the allegations that Vinod had put forward, I believe that passion surfaces big time while representing your own country...but the scar would remain. The security guards at the stadium were ruthless on that particular night"- Dad had elucidated..yes, the soaring controversy post Vinod Kambli's hysterical divulgence that had tormented the entire nation didn't seem to affect him too much. He has always been a rational follower of the game and analyzes every aspect of the sport with sanity and coherence. Amen..! 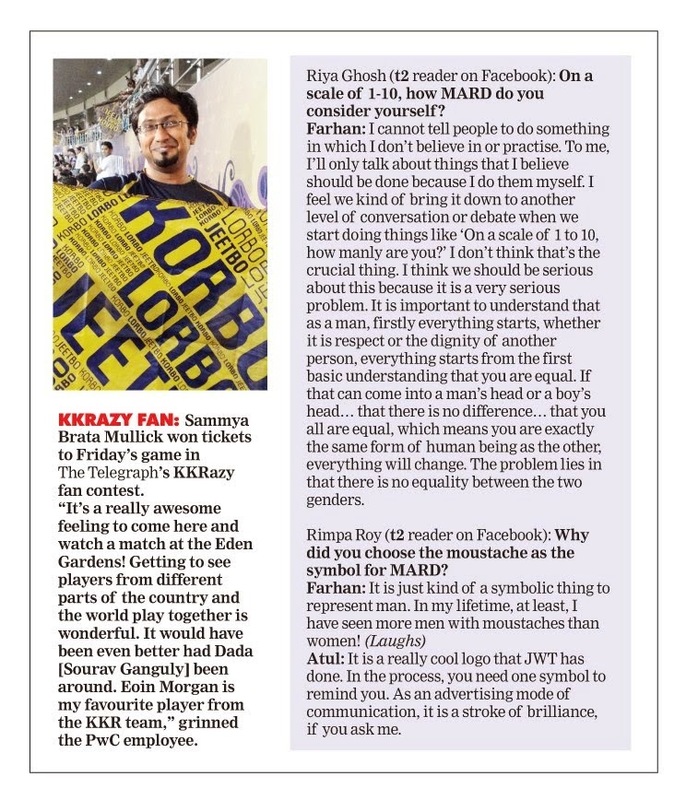 "Going by Kambli's logic and apparently those unpalatable 'facts' that he stated, I might end up questioning Saurav's decision to bowl first on that belter of a track at Johannesburg in the 2003 World Cup Finale. I believe in performance and definitely not in LUCK because the Cricketing God favors the brave. 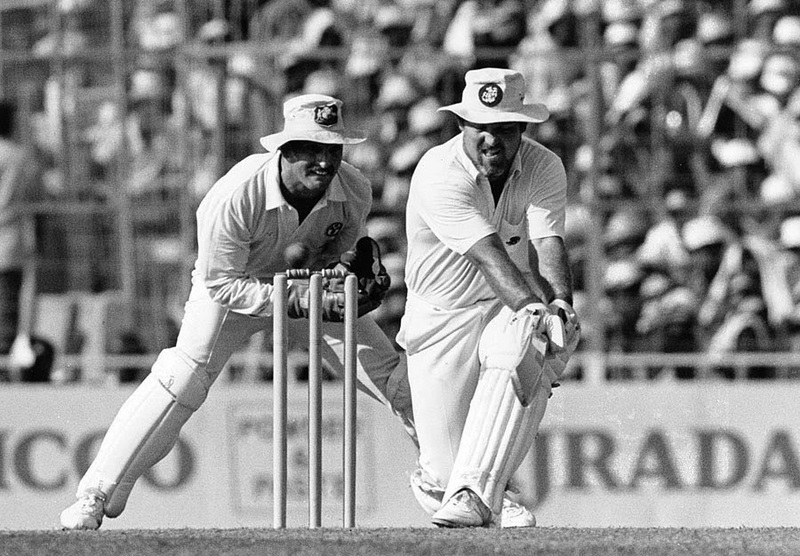 India's World Cup winning performance against the mighty Windies back in 1983 re-emphasizes the same"- He catechized. Oh yes! Right on the money he is...as always. The person who has followed cricket ardently, right from 'his inception' does say most things right...ah, I don't want to sound too biased on this one. He also has a firm opinion against ICC's decision of not including the minnows in the World Cup 2019 because they have often been the 'source of fresh air' as far as the game is concerned...but then one has to abide by the palpable truth; yes their performance, on an average, has been up to the mark. Yes, there might have been a couple of sparks in terms of individual performances (that have at times led to a major upset) but overall...they haven't managed to match up to the very high standards set by the regular test playing nations. 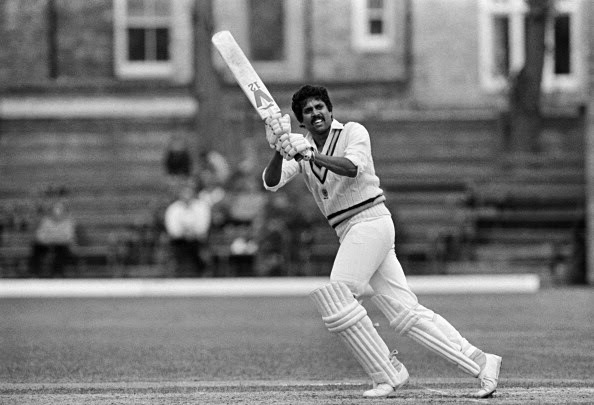 Even then, he rates Kapil Dev's iconic knock of 175 against the rather in-experienced Zimbabwean attack because "he played proper cricketing strokes back then and the way Kirmani supported him was indeed a lesson, the modern day tailenders should learn from him big time" - as dad explained. Years have passed but the intensity has never dropped...newer entrants into the game have made their presence felt..Kevin O' Brein's (Ireland) swashbuckling knock that literally decimated the English bowling at the M Chinnaswamy Stadium in the World Cup 2011, might have been the benchmark performance for the associate nations...but sadly the graph hasn't taken an exponential leap from then on. We have had nations like Bermuda producing some spirited performances but then, the consistency levels have been deplorable. Dad, for obvious reasons doesn't rate Zimbabwe and Bangladesh as minnows because they have been playing test cricket for a while now and have produced some promising cricketers over the years like Andy Flower, Grant Flower, Alistair Campbell, Heath Streak, Paul Strang and so on who were potentially match-winners but then incongruity has pegged them back from time and time again. Consider the gargantuan efforts by the Bangladeshi all-rounder Mahmudullah Riyad or the spirited knocks played by the talented Zimbabwean wicket-keeper batsman Brendan Taylor in this World Cup against quality sides but their single-handed efforts were not good enough to save the tide; they were knocked out of the competition before the knock-out stages. They were snuffed out by the hard-core professionals. Well, as I'm about to enter into the business end of this post, as if in sync with that of the World Cup, let me take this opportunity to relive those cricketing glories that have etched deep into the cricketing soul. If the 1983 World Cup triumph was an epiphany, the lamentable loss in the 2003 World Cup final was a reality check....and as he says "The World Cup victory in 2011 was just an optimum dose of the above mentioned learnings". Yes, starting from 1975, this tournament has been the platform that has staged dramatic ups and downs but the baseline is still the same...there is literally no scope of 'unforced errors' in this format of the game. Almost as coincident with Shane Watson's 'catch drop' today, the catch that could have added spring in Wahab Riaz's stride...he was nothing short of being "called" hostile today. In-fact, the umpiring errors (Ref: The controversial no-ball call that saved Rohit Sharma when he was on 90 and he went on to make 137 against Bangladesh in the quarter final match) have also added a new dimension to the game that has evolved quite a bit since it's inception; the intervention of technology can never be termed as a substitute to human arbitration...it has always been a gentleman's game and will continue to be so. However, since he have almost reached the climax of the 11th edition of this esteemed competition with the gallant Team India led by Captain Cool MS Dhoni facing the mighty Aussies in the semi's led by the experienced Michael Clarke...I guess we could, for a while, switch to the reflection mode and look at the broad factors that might have changed over the years of World Cup Cricket. This of course, goes in with the consideration that the big stage always brings the best out of every team...we have seen this from time and time again, understandably so...it's the hunt for the "World Champions" after all. Alright then, let's look at those key areas of the game that has perhaps evolved over the years and expressed themselves on the biggest stage of competitive excellence...the World Cup. Composure: Well, the term composure is a very tricky one when it comes to World Cup cricket because over the years we have seen cricketers being bogged down under the weight of boiling expectation as well as the gravity of the occasion. As far as responding to biggest 'test of application' is concerned, the cricketers have resorted to their unique ways of displaying sobriety. Yes, the 'pace' of the game has certainly picked up in the last decade or so; judging by the mindset of batsmen these days, even a score of 500 might be achievable in the future editions of World Cup cricket. 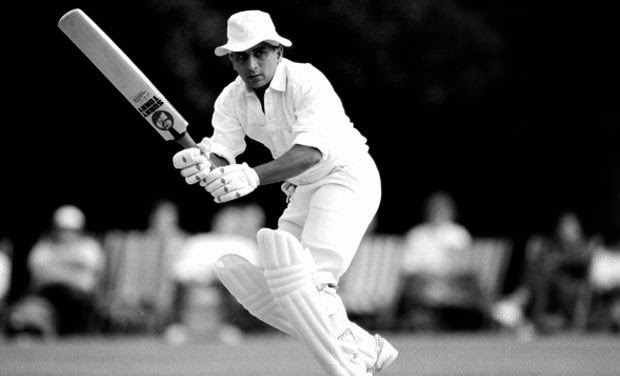 If we go back in time and analyse Sunil Gavaskar's sluggish knock of 36, batting through the entire quota of 60 overs while chasing a mammoth 335, we won't certainly find a parity with today's approach that primarily counts on willow-power. If 'esthetic cricket' endorses 'touch', the present relies on 'impact'. Cricketers like AB De Villiers, Virender Sehwag, David Warner, Brendon McCullum, Glenn Maxwell, Lance Klusener and even Shahid Afridi have simply smashed the "upper limit of all possible score-lines"...they don't mind going over the top with 4-5 fielders on the rope, they don't mind attempting six consecutive sixes even with a huge total on the board, they don't mind hitting the first ball of the match into the covers or playing those sneaky upper-cuts and switch hits. That is again, s different definition of the attribute called composure that was perhaps manifested in a more conservative demeanor by the like of Steve Waugh, Michael Bevan, Salim Malik, Rameez Raza, Rahul Dravid or Carl Hooper. Of course, with the affirmative perspective legends like Viv Richards, Clive Lloyd, Glenn Turner, Zaheer Abbas, Dennis Amiss could step up the gas when needed but there was a sense of calmness about their approach, it was more of an orthodox style of play. Viv, in particular, was a glorious exception with those clinical fast paced knocks...but having said that, players of this decade have absolutely no respect for the bowlers. I saw Maxwell's reverse pull (or whatever you call it) today and honestly speaking, the likes of Shastri or Gavaskar wouldn't have even dreamt of attempting such a percentage shot. "They look cheeky when they come off, else they look super ugly"- Anonymous. Well, batsman with the power of impeccable hand-eye-coordination aided by the fantastic quality of willow, have transformed into gladiators to be honest. We have also had the first ever double century in the history of World Cup cricket, with Chris Gayle smashing the Zimbabwean bowlers all over the park, such is the level of arrogance. The fallout of T20 cricket has been monumental as well...chasing down almost 100 runs in the final 10 overs looks like a target-under-control, such has been the transformation..!! Percentage shots: Give it to the modern day batsmen for 'inventing & applying those percentage shots' that are regarded as the X-Factor in today's cricket. 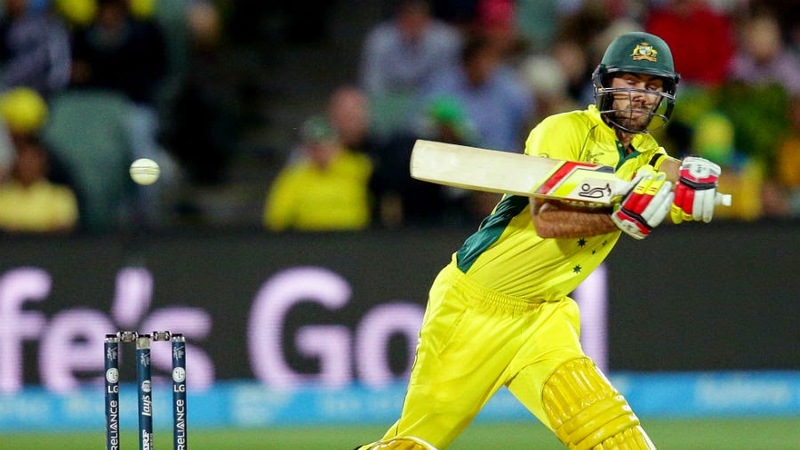 If Maxwell's reverse pull was as awkward as ever, the Dilscoop didn't even feature in the wildest of dreams while playing the 1975 World Cup. While, the credit (or discredit) for inventing the "mother of all unorthodox strokes"- the paddle scoop is largely attributed to the Zimbabwean lower order batsman Douglas Marillier, we could perhaps press the rewind button and track down one of the greatest blemishes in World Cup cricket history inflicted by the mindless choice of an acclaimed percentage shot. No points for guessing, I'm talking about Mike Gatting's infamous attempted reverse sweep that screwed up England's chances of winning the World Cup in 1987. He wasn't known for inventive stroke-play but certainly got carried away. That one moment of madness proved to be decisive enough...oh wait! Do these modern day batsmen care about the outcomes if at all? With Mahendra Singh Dhoni inventing the ruthless Helicopter Blow and KP with his strong and wristy switch hits, we are wading through the generation of out-of-the-book-adventurous-form-of-cricketing-strokes that are very effective at times. A perfectly timed straight drive, after Tendulkar's retirement, is perhaps making it's way into the cricketing museum. "Artistic cricket" is making way for "Smart cricket" even in the scenario of World Cup cricket. These 'unnecessarily risky shots' as coronated by the cricketing experts, might end up destroying the classical essence of cricket..but, in effect, it's nothing but the exuberance of youth who are the drivers of this game. After-all, exposing the stumps and paddling the fastest bowlers of the planet for a six over the keepers' head isn't a 'piece of cake' for sure. Let's respect the growing skill level of these young innovative cricketers. They're special. 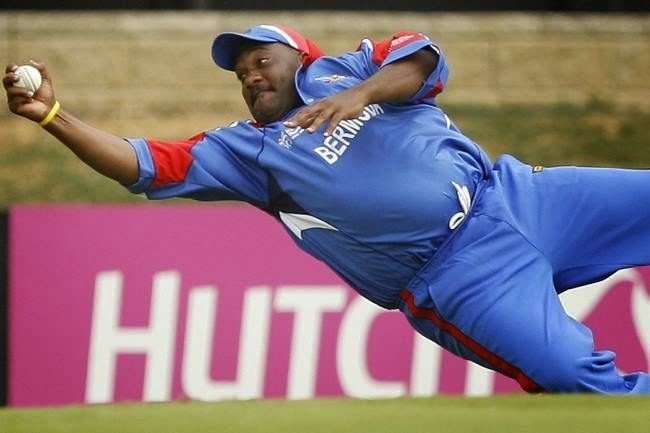 Fielding Standards: Fielding has been one of the key aspects that has taken a leap in this format of the game, the level of athleticism on the field has been remarkable in this World Cup for sure. It goes without saying that the Aussies and the Proteas have shown the way for the rest of the Nations, who have responded pretty well. Not only in terms of converting half chances into match changing ones, but also in terms of saving vitally important runs for the team that could yield rich dividends in the long run. If we look back and analyze the most decisive moments in World Cup cricket that have been accounted by some sheer brilliance in the field, my word, Jonty Rhodes' 'Superman' effort to dismiss a rather sloppy Inzamam Ul Haq would certainly feature as one those incredible moment in the golden archives. The entire cricketing world was taken aback by his "energy". 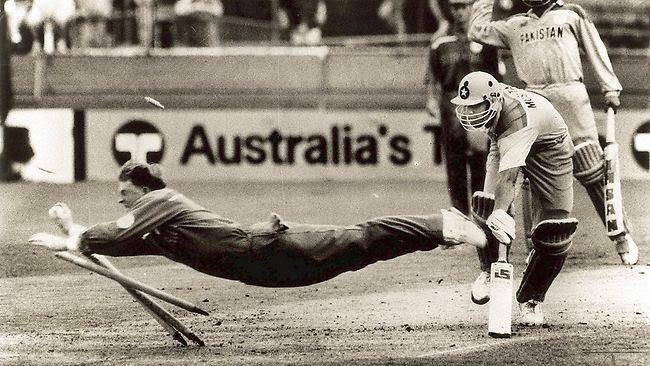 The World Cup Cricketing Evolution: The Superman Jonty Rhodes' remarkable run out- Inzy short. A few years later, India's very own Mohammad Kaif displayed remarkable agility on the field to dismiss the man-in-form from England, the classy Nick Knight to kick-start India's dream run in the 2003 World Cup. It has often been said that a difference in conceding 10-15 runs in the field and saving them, might turn out to be the decider. No doubt in that, the fielders have an equally important task at hand. Fortunately, the standards have been exceptional in the last few years..specially in terms of taking cliffhangers at the boundary ropes. The level of commitment on the field, coupled with the additional layer of alertness & dexterity that has shaped up in form of brilliant fielding-partnerships have certainly raised the bar. Remarkable improvement has been observed in terms of the Indian fielding that has touched the highest level of excellence at this point of time. It was Robin Singh who set the trend by setting up high standards in the circle, and then came the likes of Yuvi, Kaif, Raina, Kohli, Rahane who have created almost an impenetrable ring during the mandatory power-play overs. Talking of the current World Cup and it's proceedings, I guess Dale Steyn's phenomenal catch running backwards, to dismiss Ahmed Shehzad was perhaps a prime example of "commitment in the field"; also the fact to be noted is that he had bowled an over just prior to that...there was no slackness in his feet movement. By the way, I have already cited Dwayne Leverock's heroics in my earlier paragraph..that was quite a stunner! And the Legendary Duel continues: Goodness gracious me, the records are tumbling each and everyday..yes, the format of the game might be slightly harsh towards the bowlers, but they have not disappointed us either. We have seen mythical performances with the cherry right from the inception of this greatest event in the epigraph of World Cricket with Gary Gilmor kick-starting the campaign with historic figures of 12-6-14-6 against England, the numbers that could make any bowler proud. 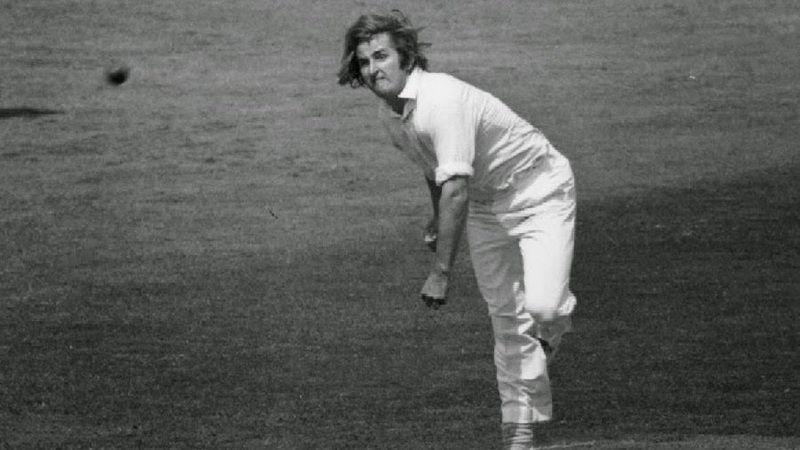 The intensity and aggression has trebled up in loops since the rules of the game have made it more and more tough for the bowlers; the field-restrictions, the power-plays, the free-hits, the wides-and-no-balls, the reviews...that have actually left no margin for error. And interestingly inspite of all the atrocities, they have coped up pretty well. With the likes of Malinga and Shaun Tait mastering the art of bowling yorkers at the death, the recent trend of bowling slower deliveries and slower bouncers have worked well for the pacers. The spinners, on the contrary, have resorted to a much flatter trajectory to keep the scoring rate down in the slog overs...we have seen the likes of Harbhajan and Ashwin trying such tactics and earning quite a fair bit of rewards in the process. Furthermore, we have often seen bowling sides opening with a spin-and-pace combination as a surprise factor...this is indeed a surprise call because the newer ball doesn't spin as much as the older one, it certainly bouncer much more in effect. While the legends like Glenn McGrath and Chaminda Vaas have resorted to a rather conservative line and length, with decent pace to stifle the batsmen in crunch games...the modern day speed-stars like Malinga and Starc have taken the attacking-line-and-length route, they are more in favor of enticing the batsman to make a mistake rather than choking the runs- a very audacious approach indeed. Yes, it goes without saying that the gravity of World Cup cricket has managed to unveil untimely heroes who have ripped through the opponents' batting line-up before we could even realize it. That is indeed the beauty of this game my friend...! 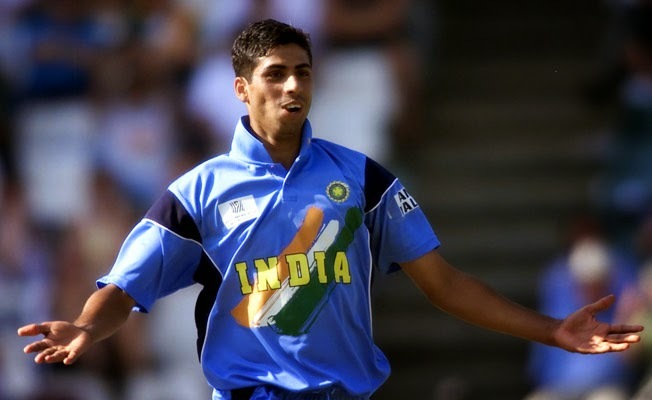 The World Cup Cricketing Evolution: The surprise package of World Cup History..Ashish Nehra.! Ashish Nehra's breath-taking bowling performance against the English line-up in the 2003 World Cup followed by Tim Southee's seven-for against England in the current edition proves that "The Game of Glorious Uncertainties" can never cease to astonish it's followers. To the ones who have witnessed Wahab Riaz's terrific hostile bowling spell against the mighty Aussies, would re-emphasize on the same fact. 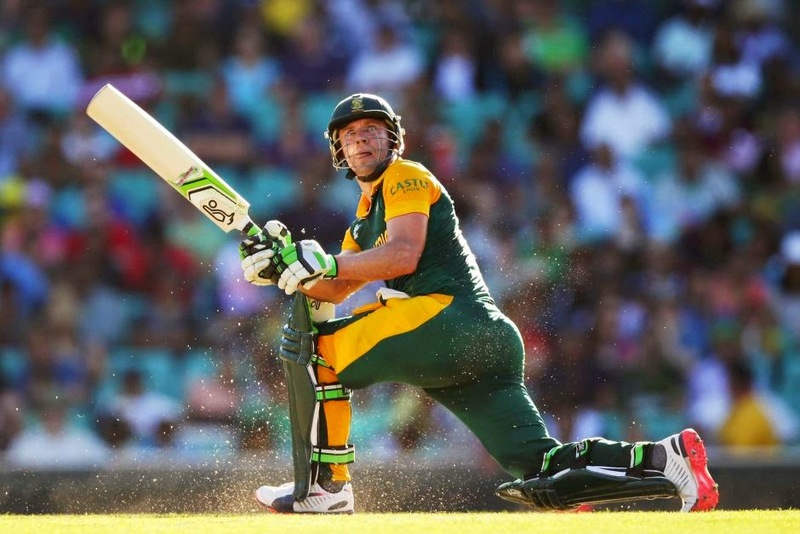 The legendary duel between bat and ball would continue to mesmerize us. That is what I mean by the phrase "LEVEL UP" in terms of cricketing excellence on the biggest stage of World Cricket. Gets better with every passing year. Time to gauge my performance (ahem): My association with cricket.. 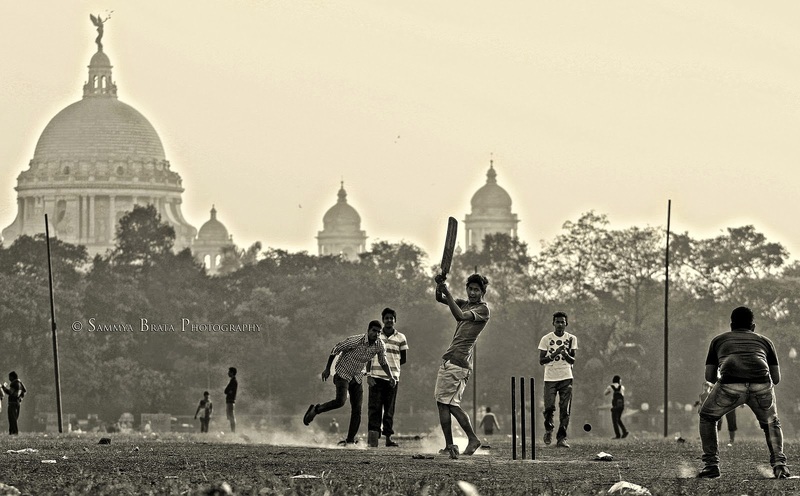 Featured in the Telegraph, Calcutta during the IPL. 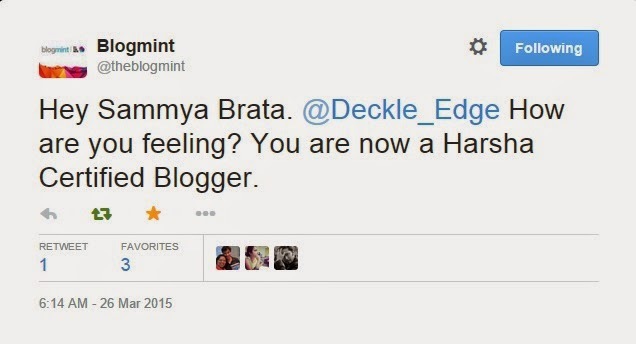 * This post is a part of Blogger Dream Team by Blogmint. The pictures used in this blog-post, especially those of the cricketers and cricketing moments have downloaded from the internet. You can also read my other posts related to cricket here.